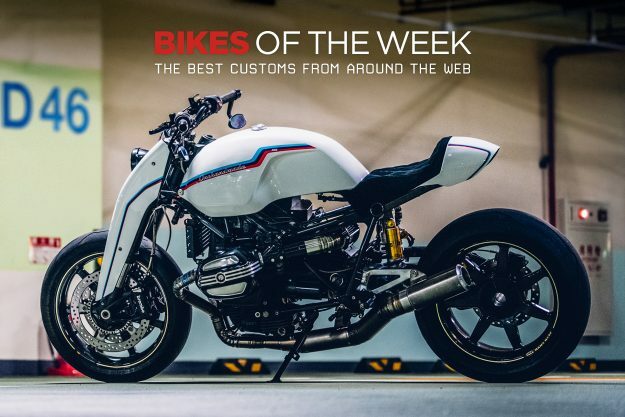 A wild BMW R nineT from Onehandmade, the CROIG Instagrammers get their mitts on a Street Cup, and the Bultaco Pursang from Easy Riders goes up for auction. Triumph Street Cup by Croig If you are one of the millions of two-wheeled enthusiasts addicted to the ’Gram, you’re probably following @caferacersofinstagram. Run by David Chang and Andy Blashko, the feed has been a hotbed for custom cafes since its inception. But the ‘Motosota’ duo don’t just create content for social media—they get their hands dirty building bikes, too. 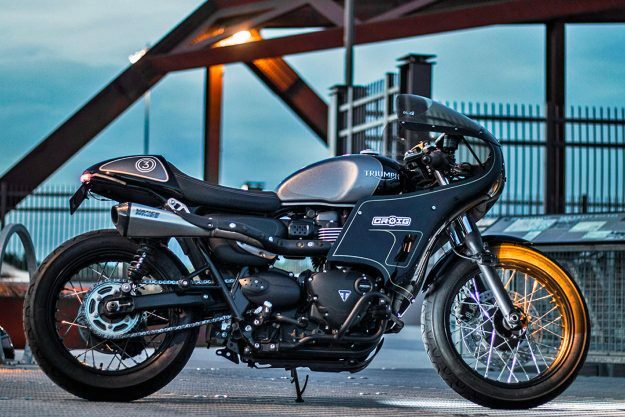 The latest creation to roll out of their shop is a fully-faired take on the Triumph Street Cup. Working with Triumph’s American mothership, the duo was limited on time—but was given keys to the accessories castle. A wish list was quickly submitted. New Fox shocks have been fitted, a Vance & Hines high-pipe exhaust was secured, and the tail has been tidied, too. But the prettiest bits here aren’t the factory bolt-ons. 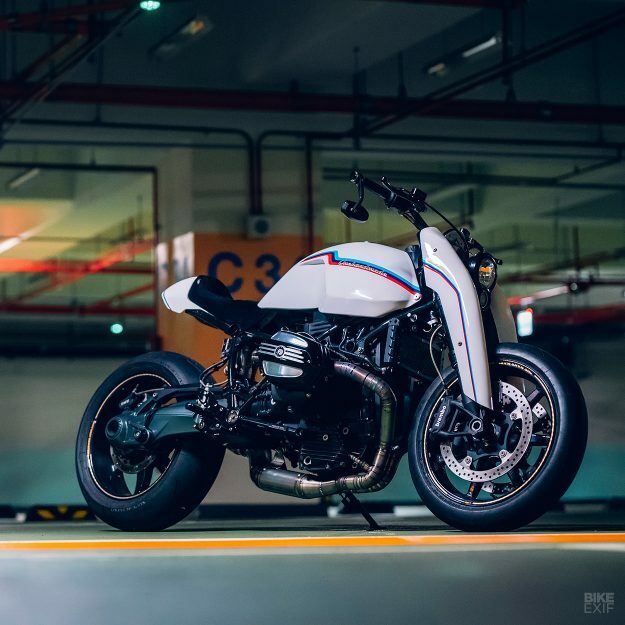 BMW R nineT by Onehandmade In the custom world, not even a masterpiece is safe from revision. Tastes and trends change, and sometimes a build just needs that extra ten percent to take it from great to godly. Three years ago, Wes called Onehandmade’s Beemer ‘one of the sharpest we’ve seen.’ It recently got a redux and man, it may now be the best. Period. 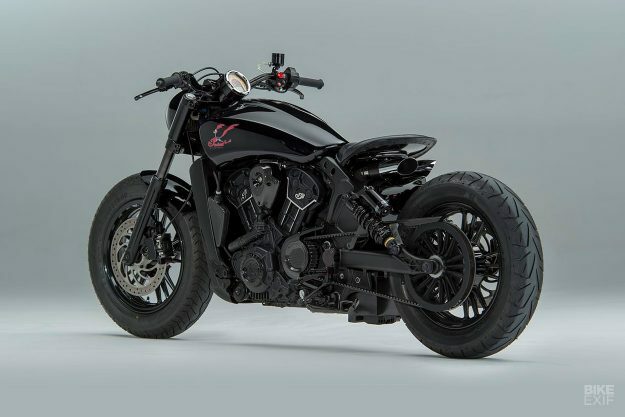 The lucky client who bought this bike has an even luckier son, who’d expressed interest in riding the beast. (No kidding?) But that meant revisions, to make it a touch easier to get on with. 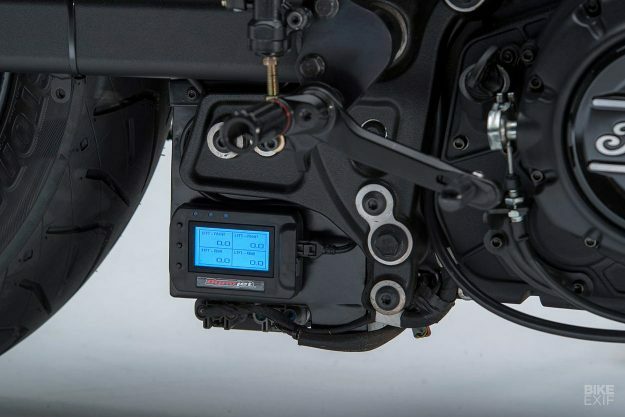 The clip-ons up front were swapped for a set of bars mounted to a newly bolted up triple clamp, to neutralize ergonomics, and the old twin-pod filters have been binned in favor of a custom made singular intake that doesn’t interfere with knees in the breeze. 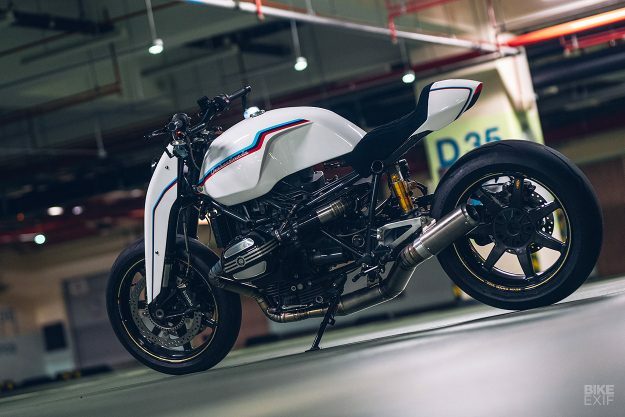 An all-new exhaust, made of titanium, has also been welded up for a more raucous bark. And the girder look was adopted up front via a set of aluminum fork covers. Zoe David’s BSA Thunderbolt We’re all familiar with the addictions of moto-life around here. For most of us, all it took was that first hit: maybe a blast through a farmer’s field or maybe, like Normandy’s Zoe David, breathing life back into a dead machine. 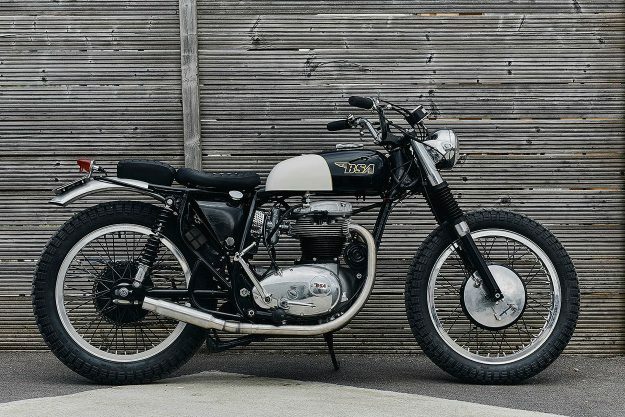 Since resuscitating a 1954 Peugeot 155, the Frenchwoman has gone on to cement her moto-junkie status with this 1969 BSA Thunderbolt. It now sees equal time running around city streets and getting sideways on the flat tracks of Europe. 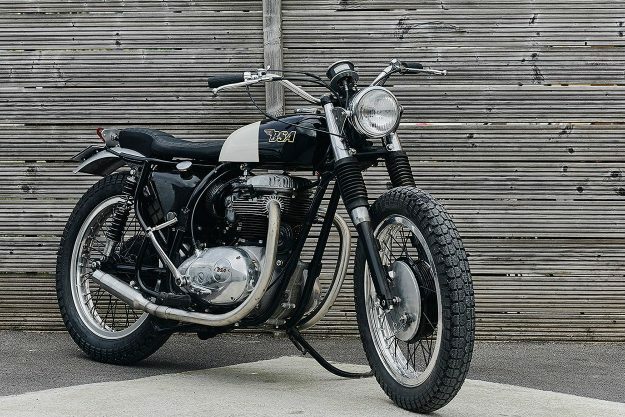 Part bitsa-restoration and part unencumbered beauty, Zoe built the BSA into the bike she wanted. Which is why it rides on matched 19-inch wheels for the dirt oval, but also has an impeccably lacquered Spitfire tank. Forme et fonction are of equal import. Following that same theme, the original subframe has been replaced by new one modeled on a Trackmaster design. 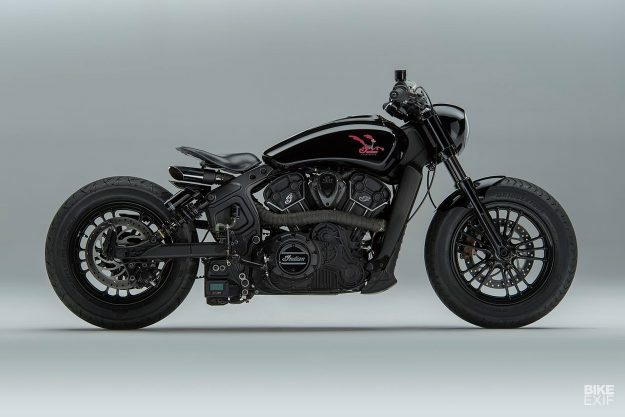 Indian Scout Sixty by Motoshed Like us, you’re probably waiting for news of Indian’s productionized FTR 1200, due to be revealed tomorrow. Meanwhile, feast your eyes on this long ‘n’ low custom Scout Sixty from MotoShed of Swansea, Wales. 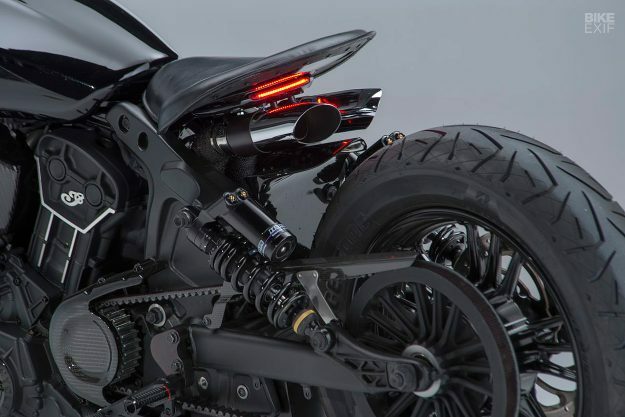 The concept for ‘Roadrunner’ came from the desire to see what an under-seat exhaust would look like on the Scout. And those two new seat-warmers were by far the most complex part of this project. Most of the wiring spaghetti, plus the battery and ECU, typically reside where the new cannons sit. So everything had to be redone, and re-routed. Peek a few inches south of the new Rizoma foot controls and you’ll see where most of that stuff now hides, highlighted by the blue hue of a Dynojet Power Vision CX performance tuner and data monitor module. 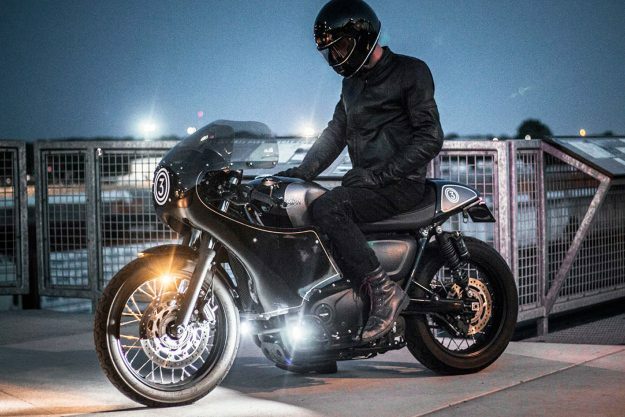 For the Scout’s new (and handmade) bodywork, MotoShed tapped CW Engineering. The nacelle, front fender and rear hugger (acting as a heat shield for the pipes) were all rolled from new sheet metal. 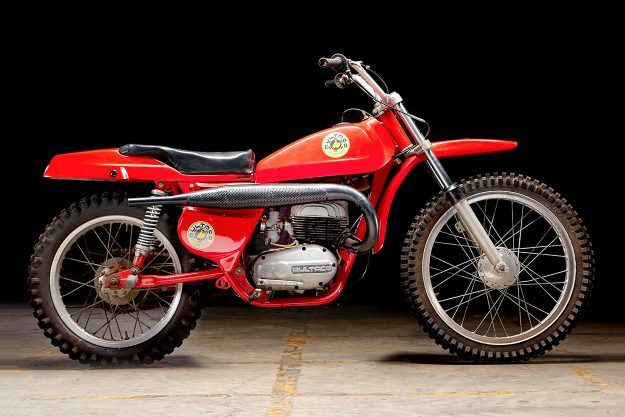 The Easy Rider 1968 Bultaco Pursang When you think of Peter Fonda and Easy Rider, the bike that undoubtedly occupies your grey matter is Captain America, the iconic chopper crafted by Cliff ‘Soney’ Vaughs. But before Wyatt and Billy hopped on their hogs and headed east, they met at La Contenta Bar in Taos, New Mexico. 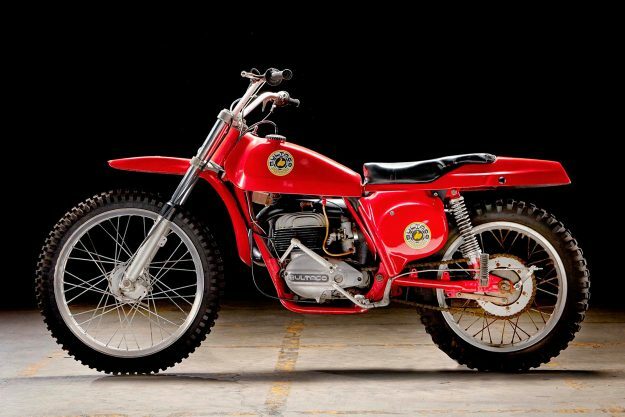 And Wyatt was riding this 1968 Bultaco Pursang. This is the very bike that was used during the shoot. When filming wrapped, it was hustled back to its owner, and it stayed there. Recently the bike was restored and is now offered in ‘film used condition,’ which is fancy speak for saying it’s been refreshed—but not too much. 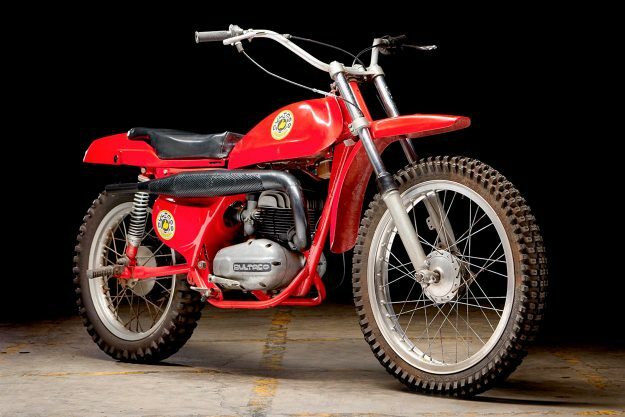 Now it’s headed to auction, along with some other rare celebrity bikes, at this year’s Barber Fest next week.